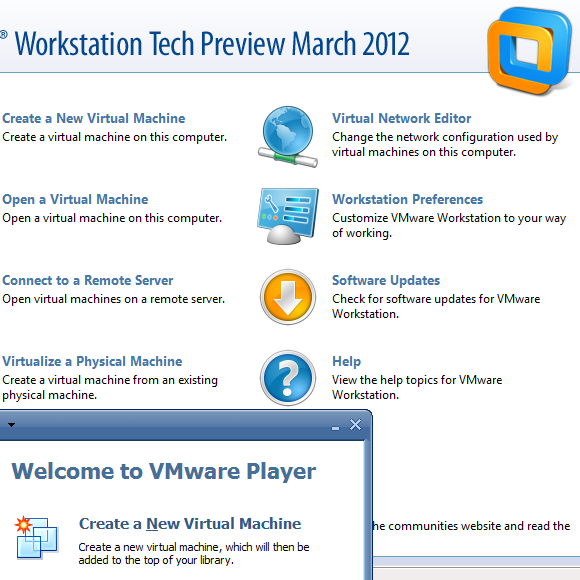 which reminded folks that the VMware Player product lives on. It lets you not only "Play" VMs, but create them as well. Because the name implies it's still a read-only offering (no longer true), so it may be overlooked when seeking out a free, full-featured virtualization, such as Oracle VirtualBox (many non-developer types don't use or require Workstation's snapshots feature). 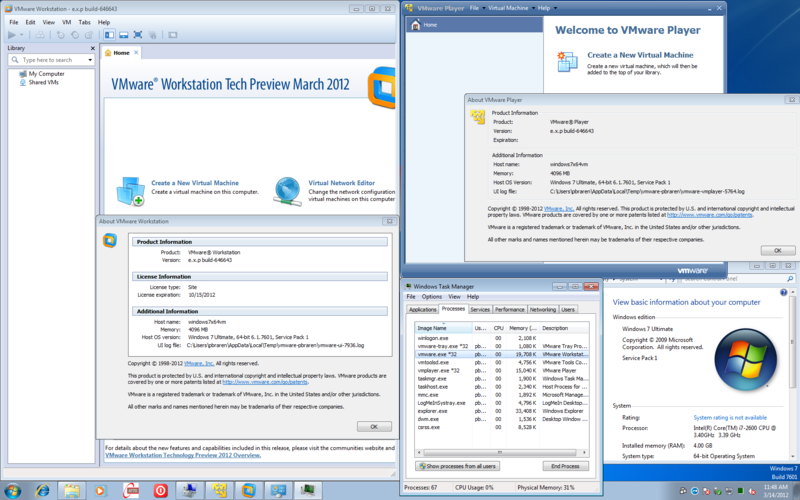 Back in 2011, VMware Workstation 8.0 was released with the bundled VMware Player 4.0, followed several weeks later by a standalone free VMware Player installer for everybody. That meant you could install the trial edition of VMware Workstation 8.0, but use only the VMware Player functionality during that trial. Once Player was released as a stand-alone install during the trial period, you could uninstall the VMware Workstation/Player combination, reboot, then install VMware Player 4.0 standalone, and you now had continued to have access to all your VMs. You can use the free Player as long as you'd like. VMware 9.0 (called e.x.p build-646643 in the Technology Preview), or whatever they wind up calling it, will be released. Within a month or two, the free VMware Player 5.0 (called e.x.p build-646643 in the Techology Preview), or whatever they wind up calling it, will be released, as a stand-alone installer. 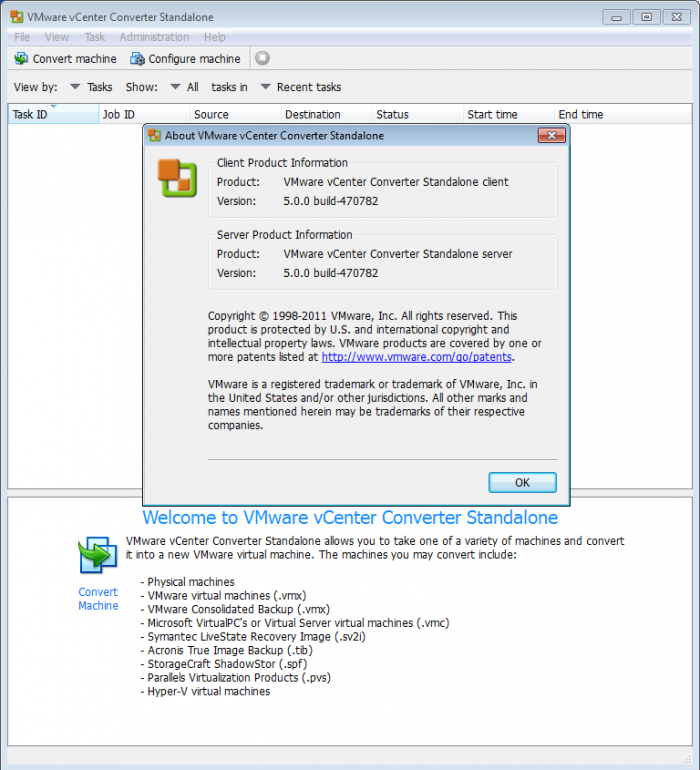 Based on the touted feature of running ESXi and Hyper-V (with this tweak), it may currently be your best bet for test/self-training datacenter arrangements at the moment, much like the presentation I made back in 2009, using Vista x64 and Workstation 6.5.2, "vSphere in a Box" Run vSphere on your laptop, to demonstrate and test vCenter, ESX4/ESXi4, VMotion, HA, and DRS. The issue is that we don't quite yet have the ability to use ESXi 5.0 Patch 02 to run Windows Server 8 Hyper-V to run a VM (double-nesting), a gotcha likely soon to be solved, and described at TinkerTry.com/windows-server-8-beta-hyper-v-runs-fine-on-esxi-5-0-patch-02.